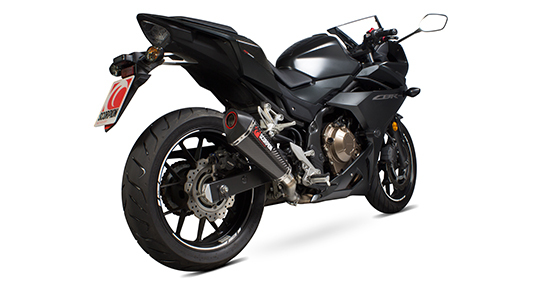 The premium exhaust manufacturer Scorpion Exhausts has released information on new products for Honda’s CBR500R. Available for the application is Scorpions modern Serket Taper and Serket Parallel silencers which can be selected in brushed stainless steel, carbon fibre and satin titanium sleeve finishes. The slip-on silencer kit comes complete with silencer, T304 stainless steel link pipe and full fitting kit. 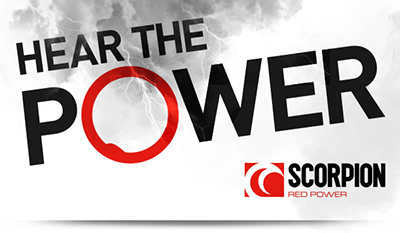 All Scorpion products are dyno developed to ensure the product is an easy fit-and-ride installation with no remapping required. Slip-on silencer kits from £329.00 inc VAT.